Ian Adams is one of the most striking, original and fresh voices in contemporary Christian spirituality. Poetry features large in his work and is an integral part of the two bestselling books he has written. Poetry reading features in his work as a speaker, retreat leader and spiritual director to individuals and to an online community. He is frequently asked where his poems can be obtained. His poems are short, arresting, richly textured and deceptively simple. 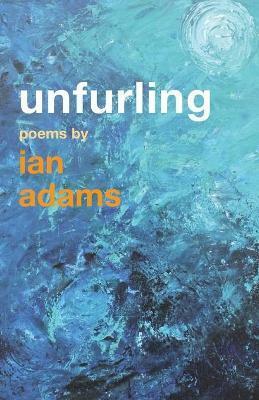 The thread that runs through these poems is Ian Adams' instinct that if our world is to rediscover its harmony and peace, that rediscovery can and must begin within each one of us. Through attention and love we may begin to discover an unfurling from all the fears and anxieties that keep us bound. IAN ADAMS is a poet, writer, photographer, artist, Anglican priest and retreat leader. He is the author of Cave Refectory Road and Running Over Rocks and creator of the daily Morning Bell on social media. Ian is a director of StillPoint, a project nurturing contemplative spiritual practice, and a partner in the Beloved Life project exploring how spiritual practice can help to reshape the world. He lives in South Devon.